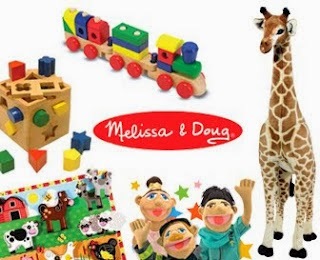 Melissa and Doug fans, its your lucky day! There is a HUGE Melissa and Doug sale that you don't want to miss. Find toys as low as $9.99and at GREAT prices. Here's how you too can score some awesome deals at SUPER STEAL prices: Head over to Zulily and click on the "Melissa and Doug Toy Sale" tab. Melissa and Doug toys are a FAVORITE around our house! I love that they are both fun and educational at the same time!